Project managers are notoriously busy and stressed, but that doesn’t mean that they lose their sense of humor along the way. We asked project managers on LinkedIn to share their favorite PM jokes with the InLoox blog. Being a project manager is not an easy job. It requires management skills, leadership skills, communication skills, and of course, project management skills. The LinkedIn group Humor in Project Management is a place where project managers from all around the world share their favorite jokes, quotes, and funny anecdotes, but also advice and best practice tips. We decided the group members to share their favorite PM jokes with us and the response was very enthusiastic. The jokes shared were often times self-deprecating, with a hint of gallows humor, but still show the passion PMs have for their profession. And they also serve as a How-Not-To guide to PM. Thank you to everyone in the group who has contributed to this blog post! "Full understanding between Project Manager and stakeholders." "There is no difference between product and process." "Don't worry....it runs by itself!" "No training needed, it's obvious how it works." "Project to be delivered yesterday!" "I want a CRM system - and I want it now!" "You see you worried about nothing - we delivered in the end." "The budget you have [been] given is more than enough." "There is absolutely no risk or dependency. It is a straight forward project." "We'll make up the time later." "This one can practically manage itself!" "We believe our PMs need a work-life balance, and we don't want them working extra hours." "It's often difficult to remember the objective of the project was to drain the swamp when you're up to your neck in alligators!!!" "We'll burn that bridge when we come to it." "Good, fast, or cheap... Pick any two." "If I had wanted it tomorrow, I would have asked for it tomorrow!" "Build the schedule based on these dedicated resources..."
"Manager: I just assigned you a project. Manager: It started a month ago. "But... it worked in QA!" "90/10 rule... The remaining 10% of the budget is allocated to the other 90% schedule." "Manager: You own the project. Manager: You have to release! PM: No sorry, we are not ready yet! PM: I don't think it is a good idea. Not now. PM: We need another week to make sure all runs well. Some more testing. M: It did not work. It's your fault. Why did you release....?" 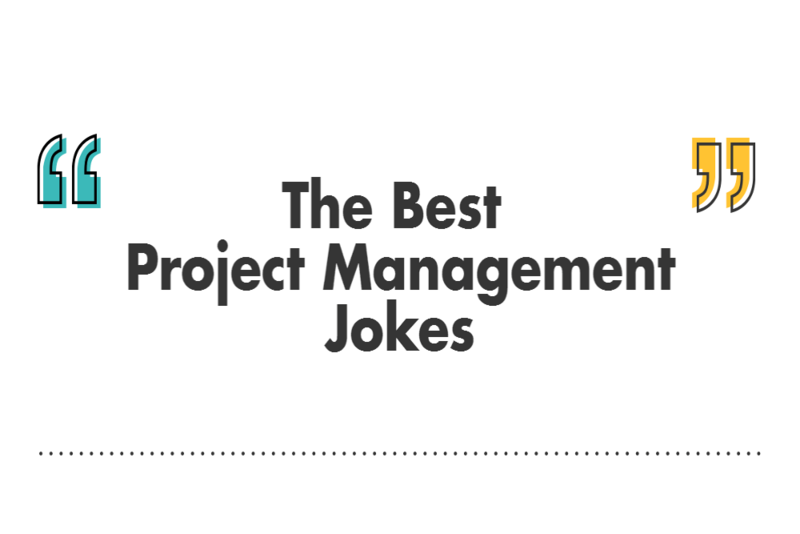 The Best Project Management Jokes Shared By Project Managers - InLoox • Copyright 1999-2019 © InLoox, Inc. All rights reserved.